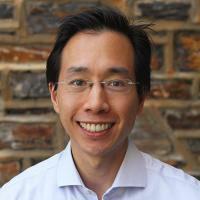 Benjamin Lee's research focuses on computer architecture and systems, energy efficiency, performance modeling, and algorithmic economics for resource management. He is also interested in policy for environmentally sustainable information technology infrastructure. Lee held an NSF Computing Innovation Fellowship at Stanford University (2009). He also held visiting research positions at Microsoft Research (2008), Intel Corporation (2007), and Lawrence Livermore National Laboratory (2006). He earned his B.S. from the University of California at Berkeley (2004) and his S.M., Ph.D. from Harvard University (2008). Lee, BC, Datacenter Design and Management: A Computer Architect's Perspective, vol 11 (2016), pp. 1-121 [10.2200/S00693ED1V01Y201601CAC037] [abs]. Zahedi, SM; Lee, BC, Sharing Incentives and Fair Division for Multiprocessors, Ieee Micro, vol 35 no. 3 (2015), pp. 92-100 [10.1109/MM.2015.49] [abs]. Lee, BC, Message from the general chair, Ispass 2015 Ieee International Symposium on Performance Analysis of Systems and Software (2015) [10.1109/ISPASS.2015.7095776] [abs]. Zahedi, SM; Lee, BC, REF: Resource elasticity fairness with sharing incentives for multiprocessors, International Conference on Architectural Support for Programming Languages and Operating Systems Asplos (2014), pp. 145-159 [10.1145/2541940.2541962] [abs]. Guevara, M; Lubin, B; Lee, BC, Market mechanisms for managing datacenters with heterogeneous microarchitectures, Acm Transactions on Computer Systems, vol 32 no. 1 (2014) [10.1145/2541258] [abs].